Paying tribute to the company’s founder for his 100th birthday, Lamborghini built a limited-edition sports car marking the milestone. 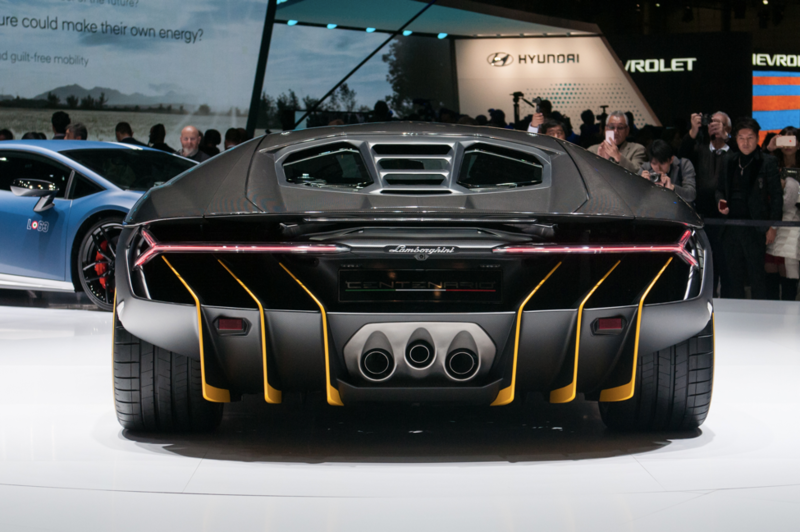 The Lamborghini Centenario made its debut at the Geneva Auto Show and demonstrates a fierce presentation in both looks and performance. The Lamborghini Centenario is a super coupe with a lot of power. 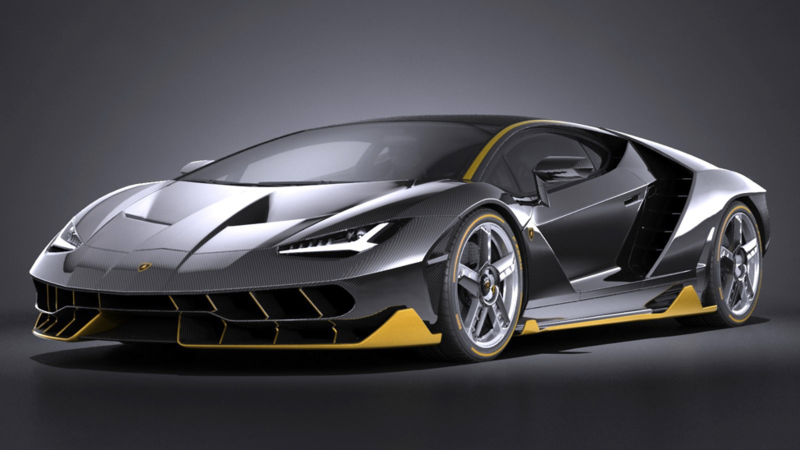 Equipped with a 6.5-liter V-12 engine and a 770 horsepower, the Centenario can hit a top speed of 217 mph and zoom from 0-62 mph in just 2.8 seconds. Three tailpipes, seven speed automatic transmission, and all wheel drive improve the performance of this sports car. The dramatic vents in the front of the vehicle are functional and help to channel air flow over the front axle, creating downforce when traveling at higher speeds. The interior will be customized based on each customer’s specifications. The two sport seats are made from carbon fiber and then wrapped in alcantara, which is the same material used for the dashboard, roof, and steering wheel. Yellow stitching around the interior flows seamlessly with the yellow trimmed exterior. A large 10.1-inch touchscreen with seven control switches is one of the most prominent features in this car. It is capable of browsing the internet, sending e-mail, using social media, and connecting with Apple CarPlay which can seamlessly integrate your iPhone with the car. The company is only producing 40 models of this limited-edition car, 20 units in coupe form and the other 20 in roadster form. The powerful sports vehicle is not only fast, but aggressive and powerful as well. It is priced at about $1.9 million.